Chinese drywall remediation is becoming one of the largest single sources of potential new revenue for restoration contractors but many do not have proper insurance coverage to perform the restoration work. Chinese drywall can be excluded from virtually all forms of commercial insurance through the pollution, “Property Damage To Your Work,” or “Impaired Property” exclusions. Restoration contractors should compare policies with the assistance of a qualified environmental insurance specialist.Chinese drywall remediation is shaping up to be the largest single source of potential new revenue for restoration contractors in history. According to the actuarial consulting firm Towers and Perrin, the total economic losses from Chinese drywall, as reported in Business Insurance on Nov. 2, 2009, could fall between $15 billion and $25 billion. In relative terms, this would exceed the loss costs of any one of the 10 largest hurricanes in history, including Katrina. It also represents two-thirds of the entire current annual revenue base of the fire and water damage restoration industry. 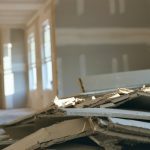 Restoration contractors will face light competition for this work because remodeling contractors do not have, and probably cannot get, the appropriate liability insurance needed to perform this work, and an asbestos remediation firm’s overhead is too high to compete with the restorers. Restorers who prepare for this new source of revenue can expand their operations without undue risk. However, without proper planning, contaminated drywall remediation will be work that may be totally uninsured for the restorer. Certified mold restoration contractors are ideally positioned in the marketplace to perform this remediation work because they have the equipment, trained personnel and customized environmental insurance packages that can all be adapted to this new scope of service. Restorers remediating these properties should recognize that they are entering a high-potential liability-risk environment; the property owner probably does not have insurance coverage for the needed work and may look to the remediator and other “responsible parties” as a potential deep pocket to help cover their remediation expenses.